Brain tumors in dogs are abnormal growths of cells that affect the brain or its surrounding membranes. They can either be primary or secondary. 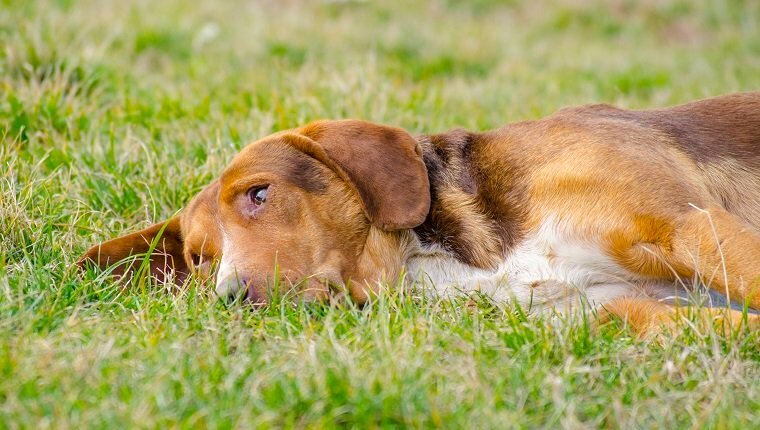 A primary brain tumor originates in the dog’s brain, while a secondary brain tumor can be a form of cancer that has metastasized and spread to the brain from elsewhere in the dog’s body. These brain tumors are not brain cancer, as the growing cells are not made of brain tissue. Secondary brain tumors can also be tumors that are not directly located in the brain but extend into the brain tissue from another area, like the nasal cavity or bone, for example. The causes of brain tumors aren’t well understood, but a variety of genetic, dietary, and environmental factors are likely to affect abnormal cell growth. Symptoms of brain tumors are often severe and debilitating, and they frequently result in death. If you see the signs of a brain tumor in your dog, get to your veterinarian right away for a diagnosis and treatment. Here is what you should know about the symptoms, causes, and treatments for brain tumors in dogs. The symptoms of brain tumors in dogs depend on the size and location of the masses. These symptoms may come on gradually and steadily increase in severity as the tumor grows, or they can come on suddenly and be very intense. 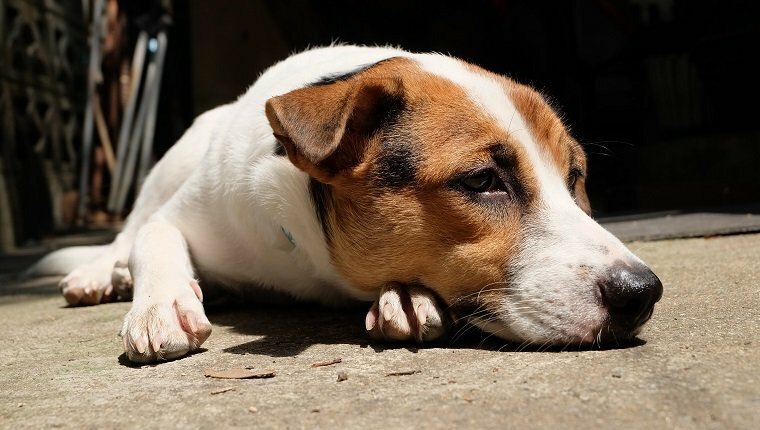 The most common sign of a brain tumor is seizures, especially if these seizures come on for the first time after a dog has passed the age of five years old. Here are several other possible symptoms of brain tumors in dogs. 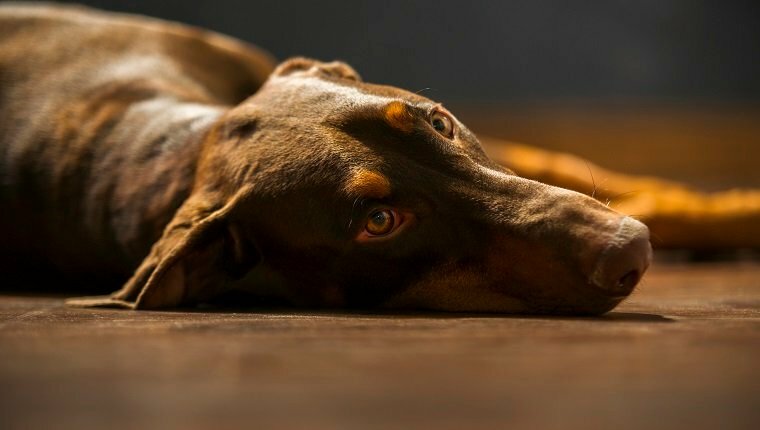 The causes of brain tumors in dogs are not well understood, but it is believed that genetic, dietary, environmental, chemical, and immune system factors may influence the abnormal growth of cells. Injury and infection may also play a role. 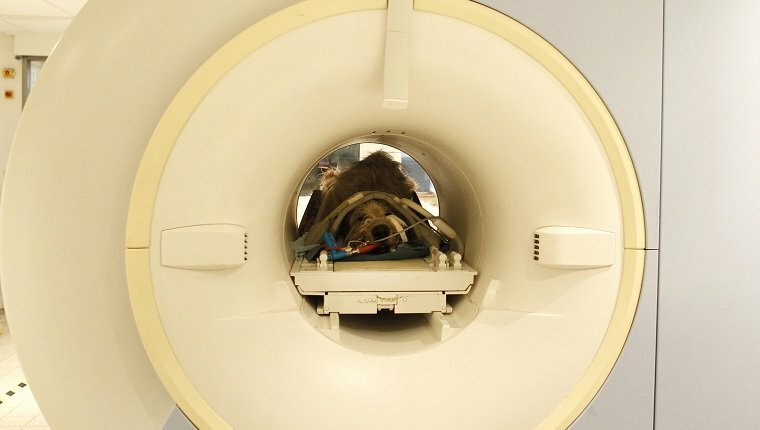 Some dogs are more at risk for brain tumors. Older dogs, especially over the age of five years old, are more likely to develop the condition. Brachycephalic dogs–dogs with short snouts–are more prone to glial cell tumors and pituitary tumors, which are two types of brain tumors. Boston Terriers, Boxers, Doberman Pinschers, English Bulldogs, Golden Retrievers, Old English Sheepdogs, and Scottish Terriers also seem to develop brain tumors more than other breeds. There are three main forms of treatment for brain tumors in dogs. These are surgery, chemotherapy, and radiation therapy. The goal of these therapies is to eliminate or, at least, reduce the size of brain tumors, as well as control any fluid buildup that may be caused by the tumors. Surgery is used to remove all or part of brain tumors in dogs, while chemotherapy and radiation therapy are used to shrink tumors or control their regrowth. Most dogs that undergo treatment will also be prescribed medication for symptoms such as seizures. The prognosis varies depending on which type of therapy is used, but generally a combination of surgery and radiation therapy provide the longest survival times, which usually range from six months to three years.